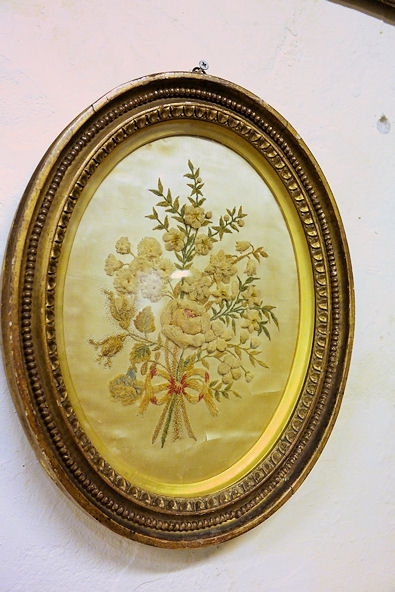 Gorgeous antique Victorian framed chenille and chiffon embroidery on silk, absolutely stunning. Dated 1874. This is incredibly well made, truly needle art by a very skilled person. There is incredible detail and the materials used are just lovely. 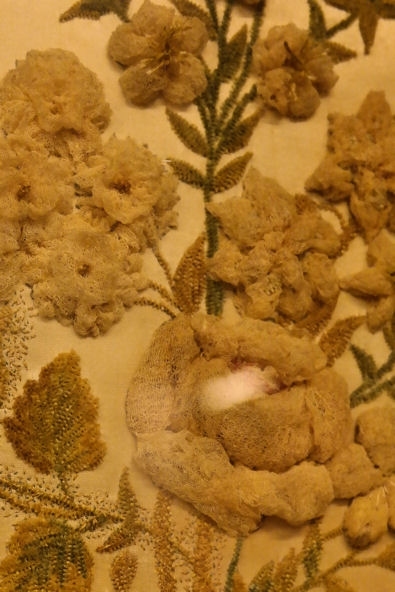 Chenille thread stems and leaves and puffy chiffon silk flowers giving the work a 3D effect. The stitches are so fine and there is so much detail. 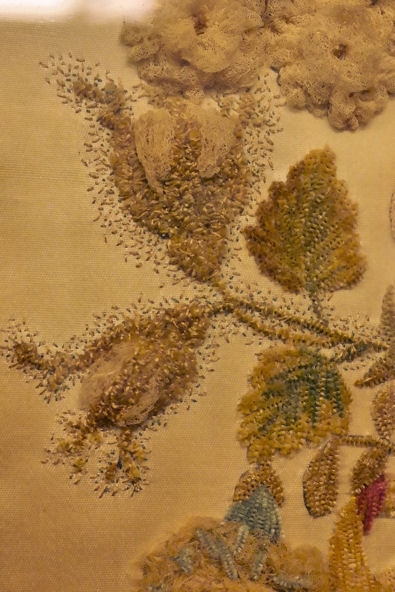 The embroidery is done on smooth fine champagne coloured silk. 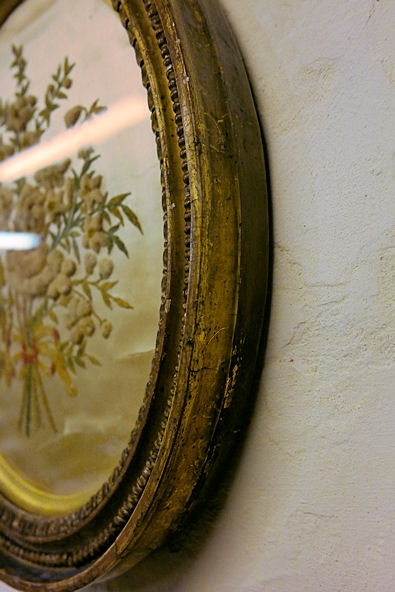 It is framed in a pretty oval gilded frame with glass. 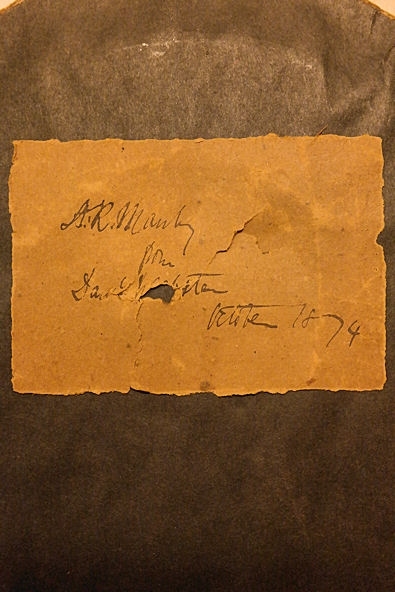 It was once given as a gift, on the back of the frame there is a note with the name of the giver and the recipient, plus the place. Unfortunately I can't read what it says, but the year 1874 is very clear. In very good condition. 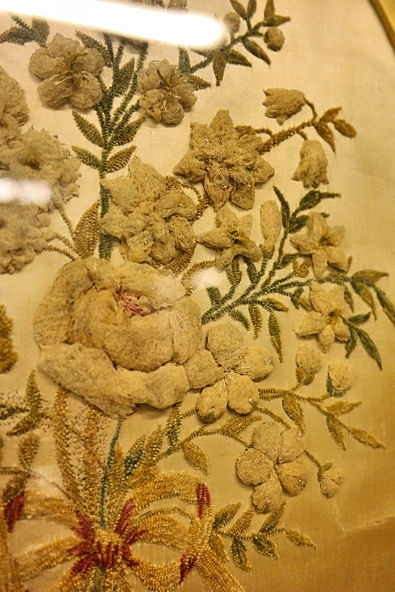 both the embroidery and the frame. 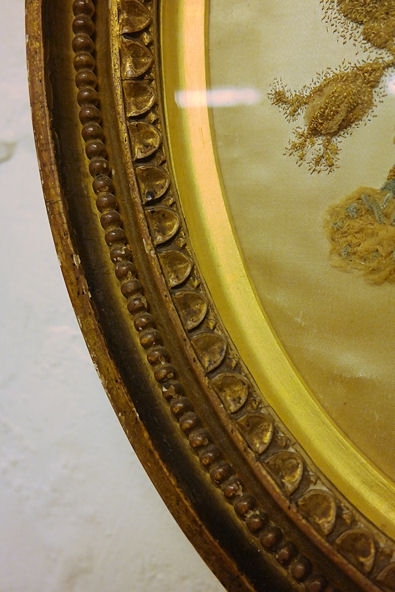 The background silk does have a couple of very small tears, hardly noticeable and since it is well framed nothing will happen to it under normal conditions. The frame measures 39 x 31 cms and is 4,5 cms deep. 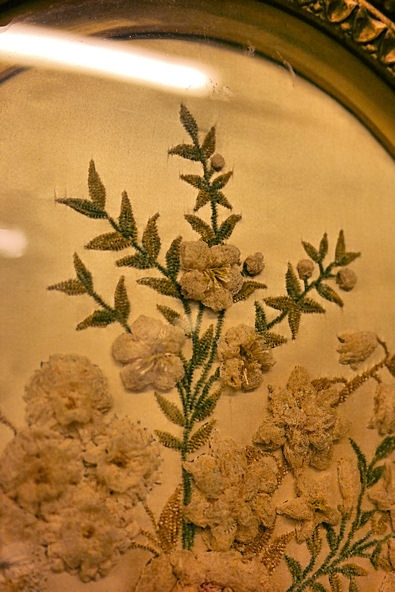 We would rather not ship this item, as it is very fragile, and should the glass break there is a good chance the embroidery would be ruined too. We will only ship if the buyer explicitely asks for it to be shipped at the buyer's own risk.